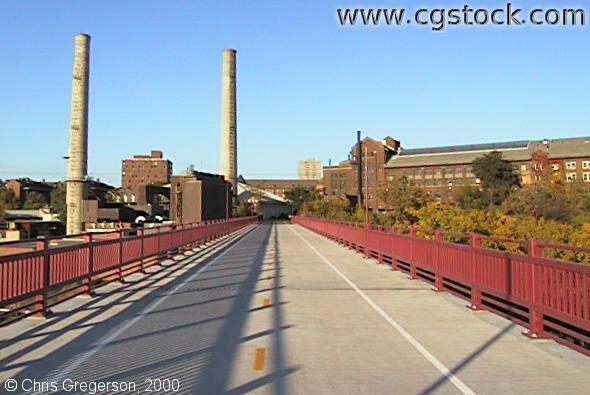 You are looking north from the Dinkytown Bikeway Connection, a converted railroad bridge over the Mississippi River. The University of Minneapolis east bank campus is up ahead. The smokestacks on the left are part of the school's heating plant.